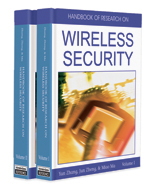 This chapter shows that the security challenges posed by the 802.11 wireless networks are manifold and it is therefore important to explore the various vulnerabilities that are present with such networks. Along with other security vulnerabilities, defense against denial of service attacks is a critical component of any security system. Unlike wired networks where denial of service attacks has been extensively studied, there is a lack of research for preventing such attacks in wireless networks. In addition to various vulnerabilities, some factors leading to different types of denial of service (DoS) attacks and some defense mechanisms are discussed in this chapter. This can help to better understand the wireless network vulnerabilities and subsequently more techniques and procedures to combat these attacks may be developed by researchers. Spoofing Attack: Spoofing attack involves the creation of packets with a forged or faked source IP addresses. Wireless Networks: Wireless networks are based on a technology that uses radio waves or radio frequencies to transmit or send data. Distributed Denial of Service (DDoS): DDOS is a type of DoS attack conducted by using multiple sources that are distributed throughout the network. Flooding Attack: Flooding attack involves the generation of spurious messages to increase traffic on the network for consuming server’s or network’s resources. Information Security: Information security is a mechanism dealing with providing confidentiality, integrity, authentication, and non-repudiation. Network Security: Network security is a mechanism dealing with protection of the networking system as a whole and sustaining its capability to provide connectivity between the communicating entities. Denial of Service (DoS): Denial of service are attacks to prevent legitimate users from receiving services from the service provider.